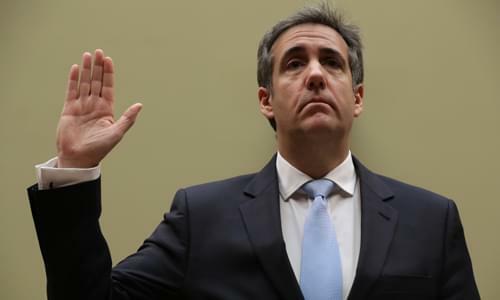 On Wednesday’s Mark Levin Show, We now have politicians performing for the media in the case of the Michael Cohen hearing. The greatest thing we can do is ask the networks to stop 24/7 news because they are under so much pressure to deliver new content every hour, every minute and We The People lose out on quality. Our national legislature held this hearing today under the guise of oversight to perform for the media and trash President Trump for 7 hours on live television. Only the most radical kook democrats care what Cohen had to say. Meanwhile, President Trump was in Vietnam working to get the nukes away from North Korea, while the media was running their circus with Cohen at the Capitol. Then, even though Trump hasn’t behaved like Bill Clinton in the Lewinsky affair, or like JFK, or, LBJ, yet he’s still skewered in the media despite his good behavior as president. Later, Israeli Prime Minister Netanyahu has moved the Israeli economy from weak under socialism to thriving under a free market. But now the politically motivated Attorney General of Israel is leading a witch hunt on Netanyahu for allegedly accepting cigars and champagne in exchange for political favors. The crime is not accepting the gifts, but accepting too many cigars and too much champagne. Justice isn’t blind if you’re Netanyahu.